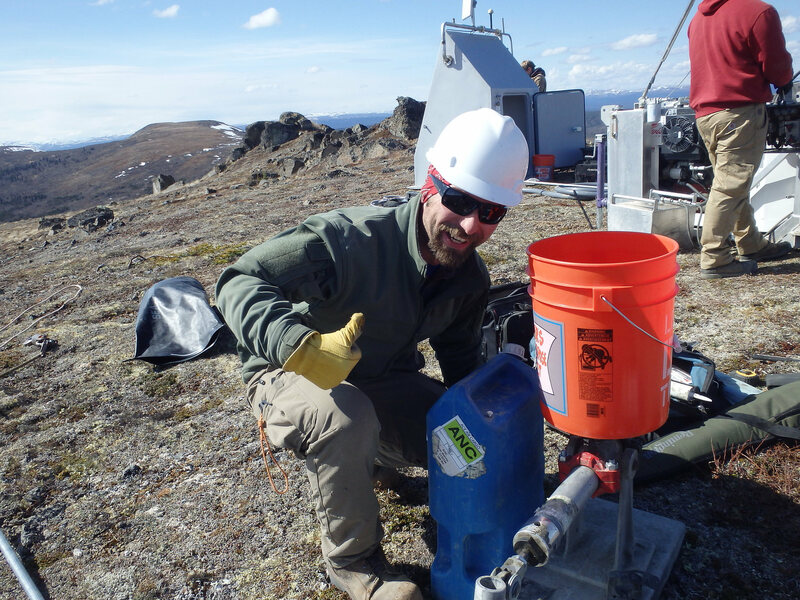 The 2017 Alaska Transportable Array deployment is underway with 32 of the 79 installations of seismic stations still to complete. 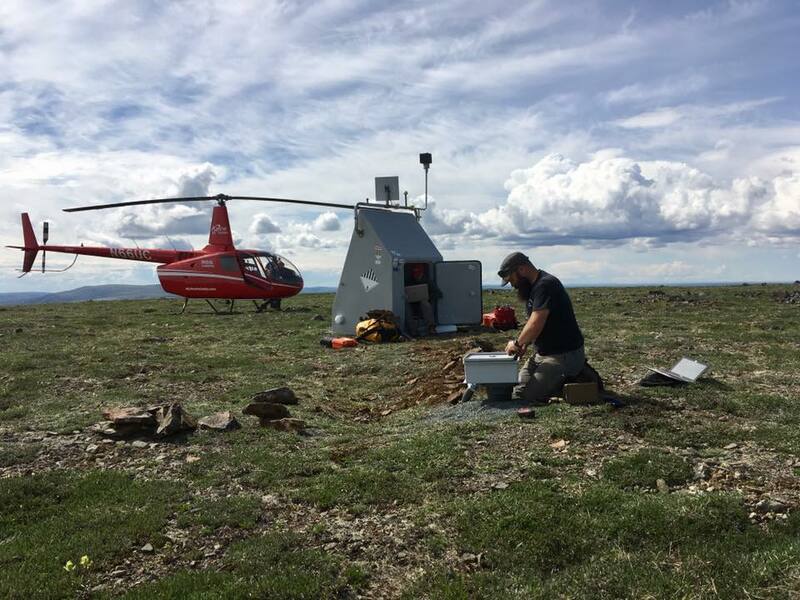 Last year's field season saw a similar number of stations installed, but this year's sites are pushing ever further into remote areas to complete the grid of 268 uniform seismic stations. 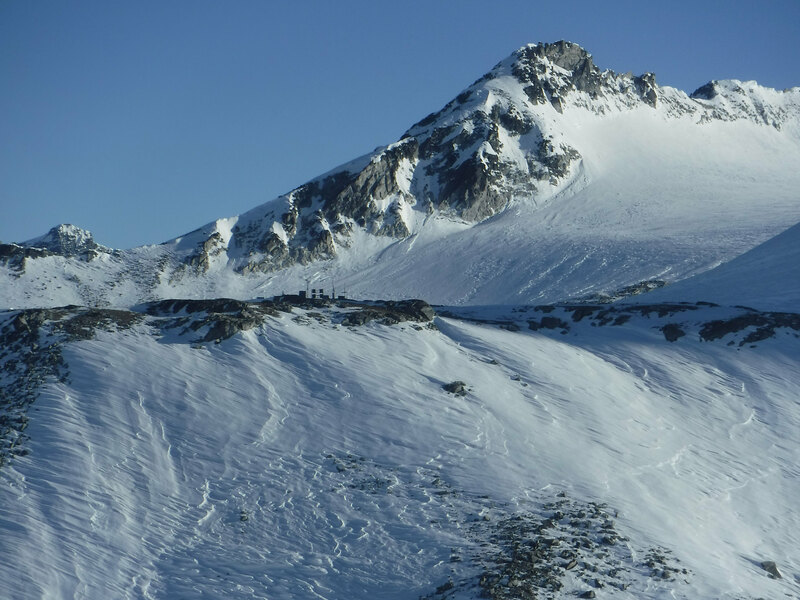 Two field crews continue to work independently to reach the largely helicopter-only-accessible sites. 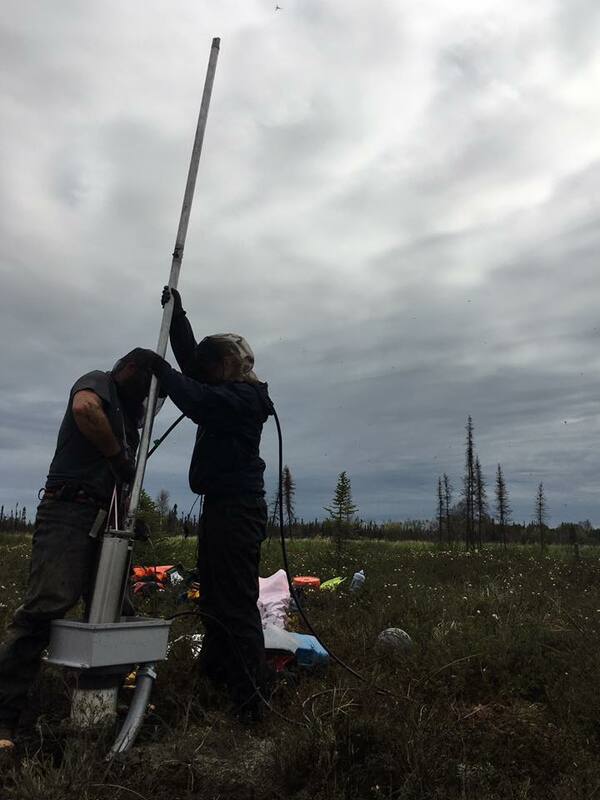 As they hit their swing, the crews still face the occasional equipment failure, nimble logistical planning, variable weather and lodging conditions, and, of course, the ever-present mosquitos. 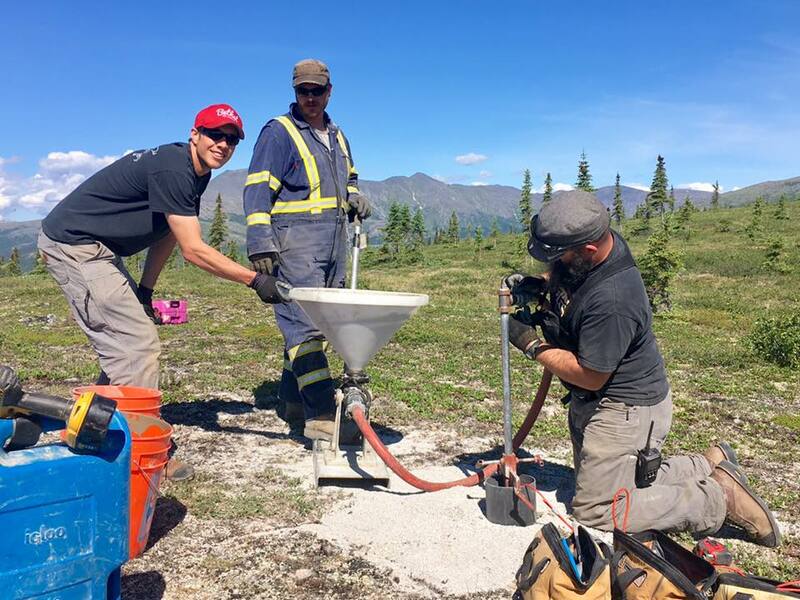 Jeremy Miner, a Field Operations Manager and the Health and Safety Officer for ATA, carefully tamps sand at the bottom of the borehole to make a nice bed for the sensitive seismic sensor before it is lowered down 2-3 meters. 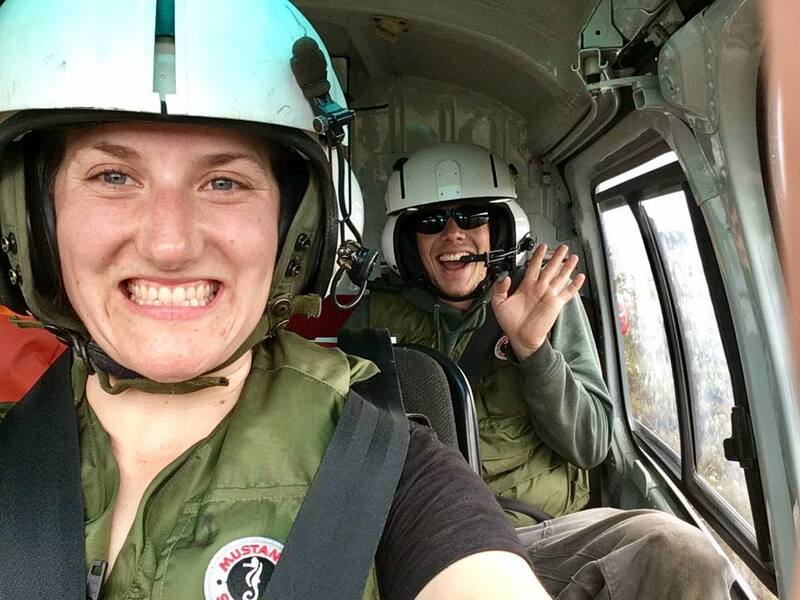 In addition to taking classes for wilderness first aid, helicopter underwater egress training, and bear & firearm training, field teams utilize safety equipment and carry survival gear to each site. 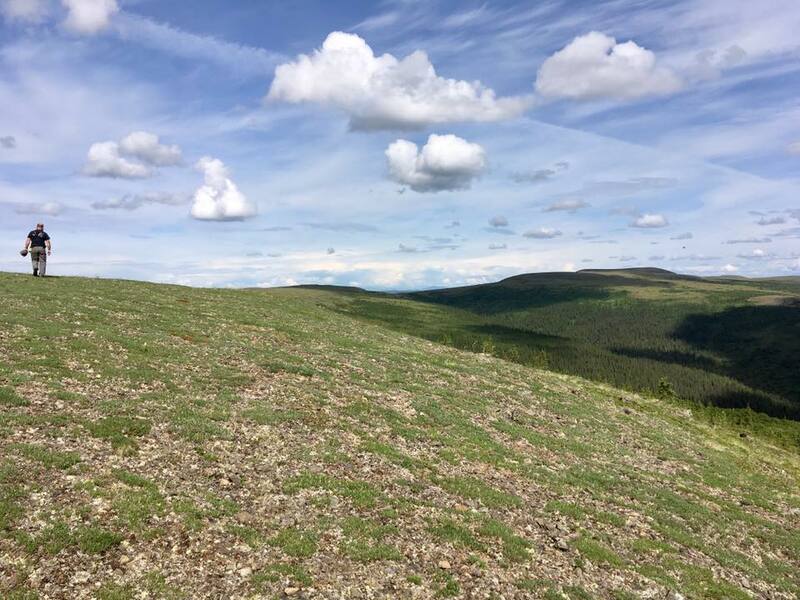 Concerns for aggressive wildlife are valid, however the small slips, trips, and falls of everyday construction activities are also seriously considered as the installation sites are far from hospitals. 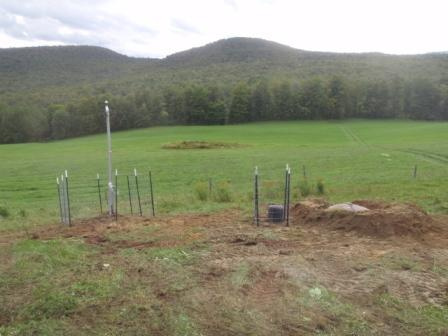 Often the field team will split into two groups, the first arriving construction team that operates the drill for the cased hole and the installation team that follows to install the seismometer and configure the rest of the electrionics including the communications system and auxilliary sensors. During the overlap onsite, groups will assist one another to speed up the process. 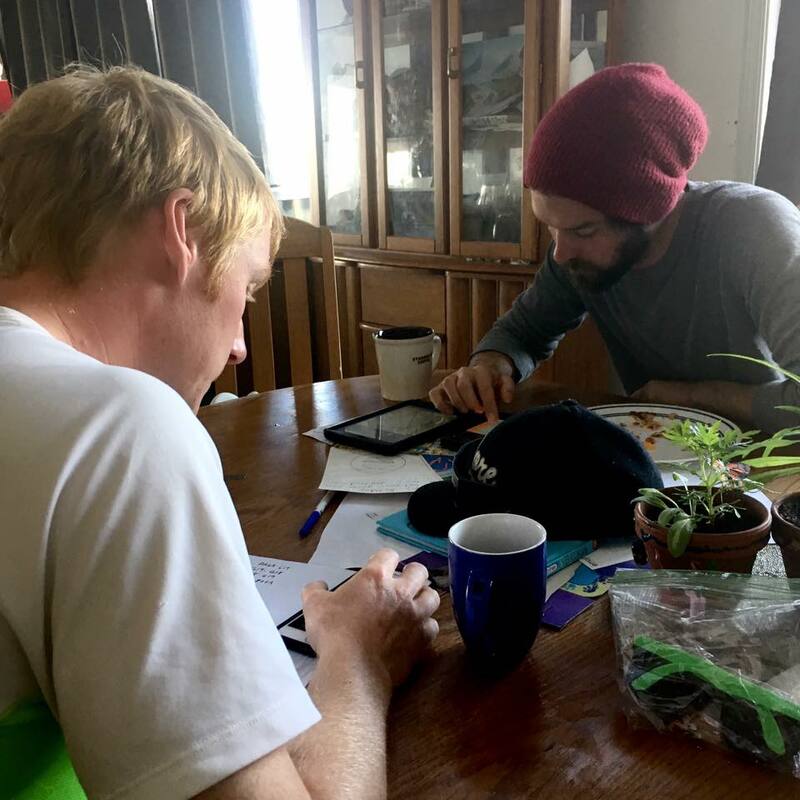 Alpine Air pilots Turner Pahl and Sam Cribbs do some quick math over breakfast to determine the fuel they will need throughout the day for their trips to and from the site. Minor adjustments are made to the installation plan while in the field to maximize efficiency in time and cost. 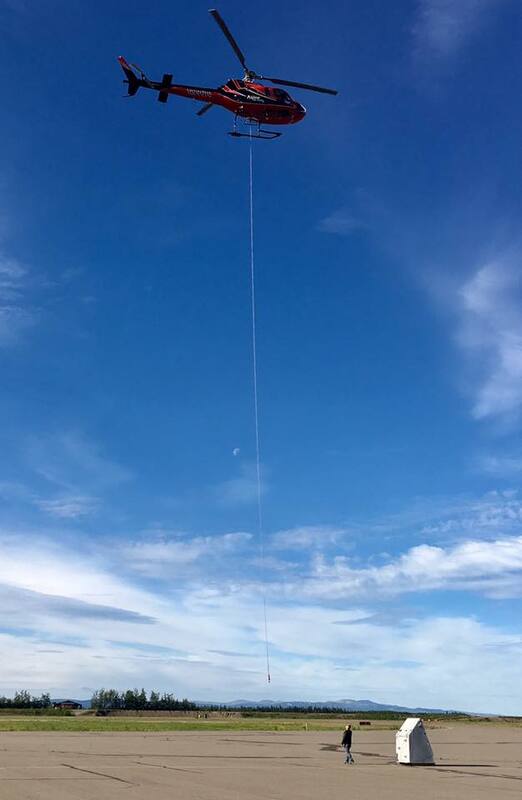 Sometimes crews get creative to pass their spare time out in the field. 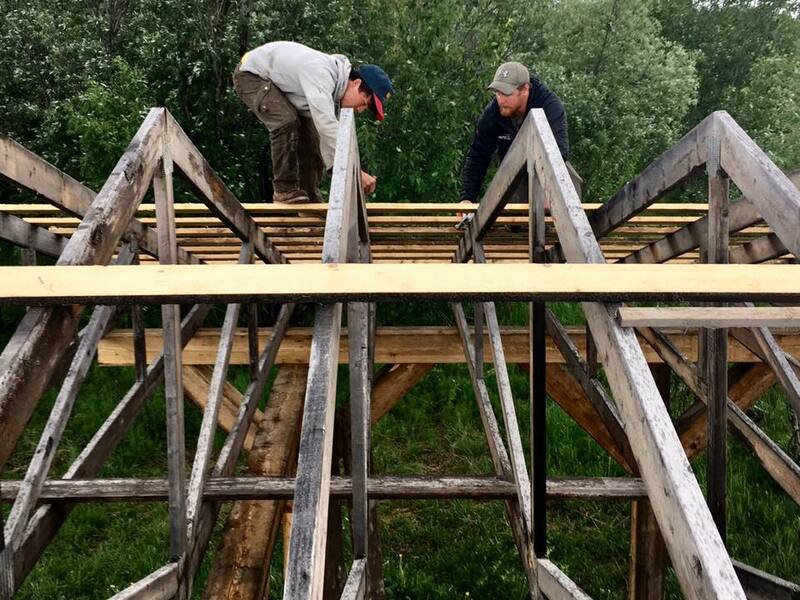 On a rare weather day when rain, wind, and visibility was keeping the helicopters grounded, part of the crew assisted the Mayor of Galena with constructing a covered picnic area for the upcoming softball tournament. 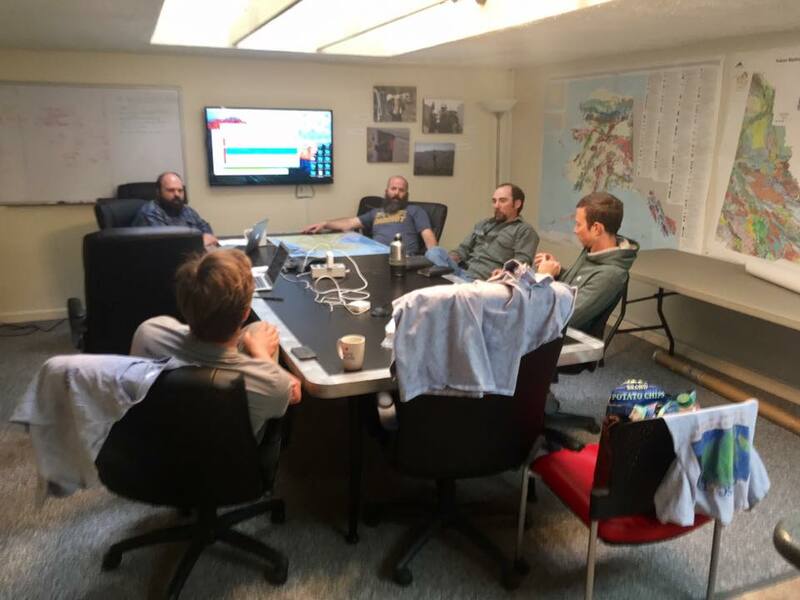 Planning out the logistics of each deployment is a process that largely happens back at the office, although changes due to weather, shipping, and equipment issues are often necessary. 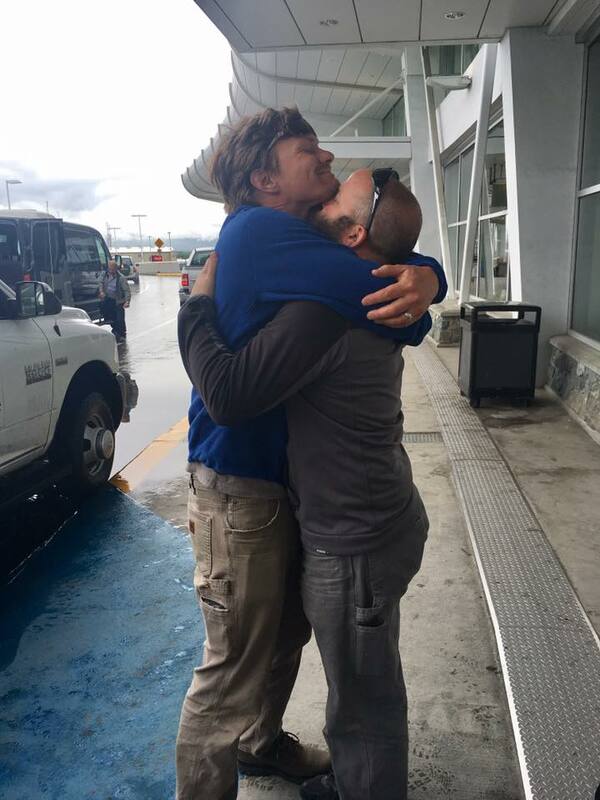 With more remote stations this year and fewer towns, most deployments occur around a hub with the crew returning to a central location each night. 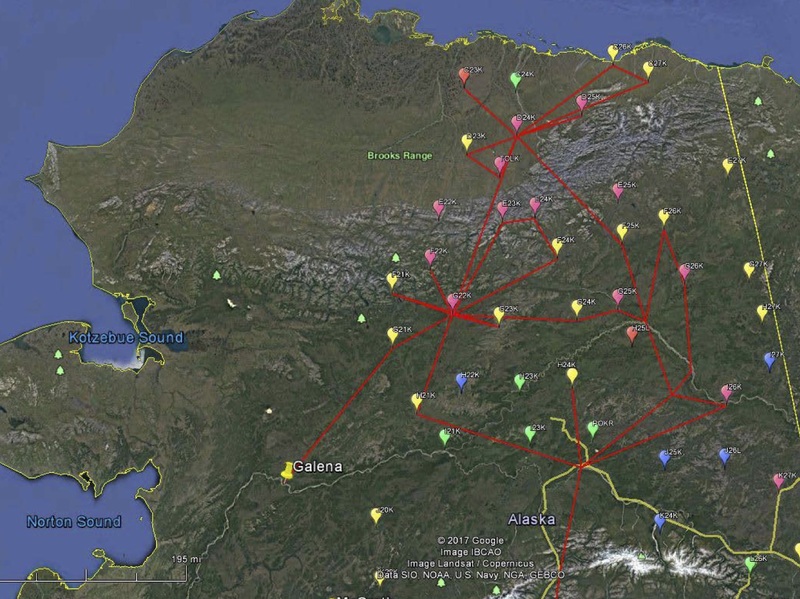 The below map shows a servicing trip undertaken by Doug Bloomquist and pilot Turner Pahl where they were able to visit 23 stations in just 7 days in mid-June. This level of efficiency is only possible with close collaboration and ample communication between station engineers, pilots, and logistics planners back at the operations center. 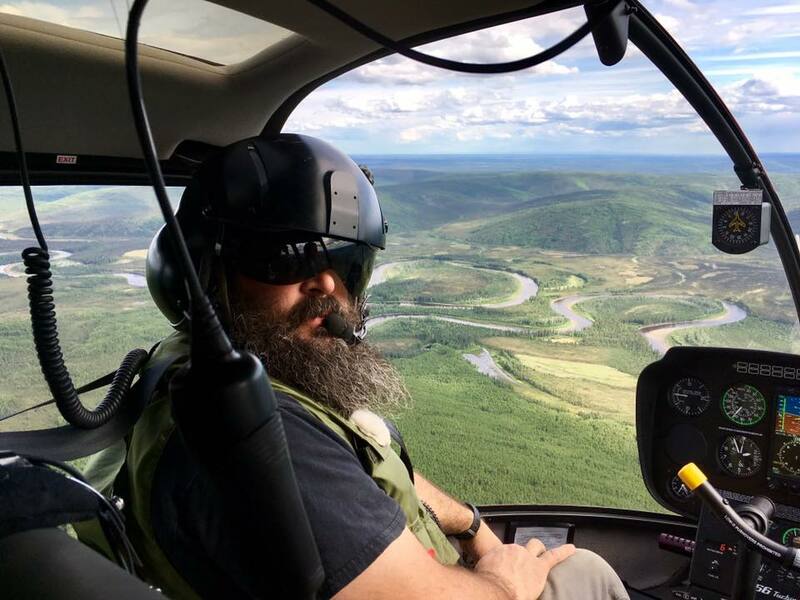 While it may look like installation gear was tossed roughly out to lodge into the marshy hillocks like brightly colored easter eggs, each piece of equipment is actually handled with great care when packing or unpacking into the helicopters. 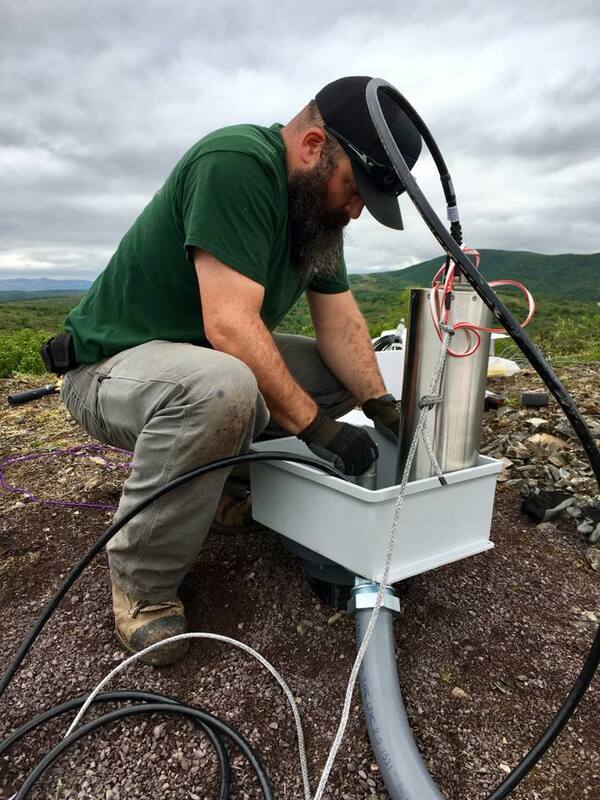 The field crews spend weeks at a time in the field, setting an efficient pace by settling into a routine on site and independently troubleshooting issues as they arise. 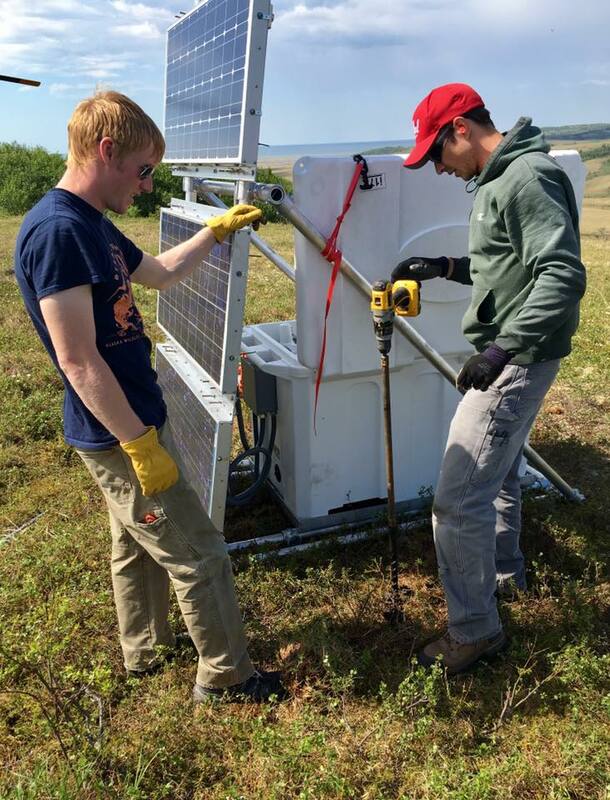 The long hours and distance from home take their toll, but spirits are high as the seismic grid steadily fills in and previously installed stations weather another year with minimal servicing. Photos above were taken by Jeremy Miner, Ryan Bierma, and Kasey Aderhold. 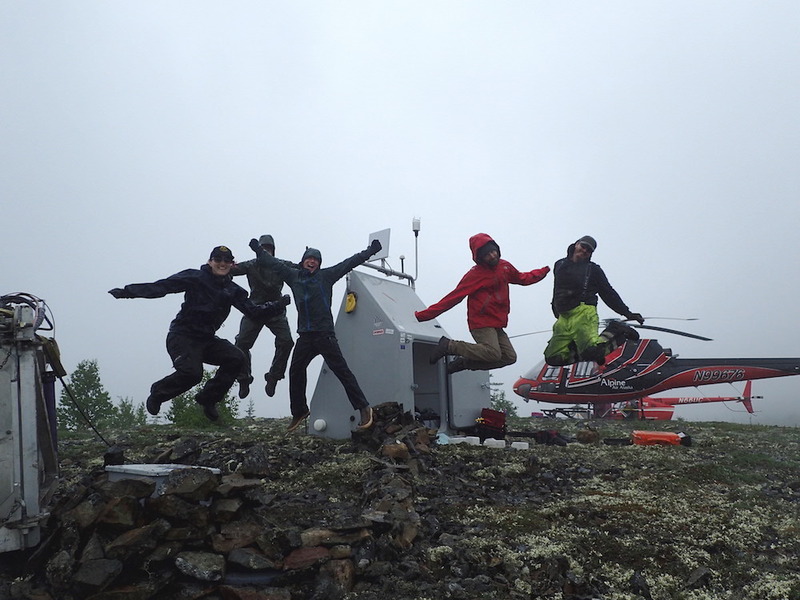 To learn more about the Alaska Transportable Array project, please follow this link.